The issue is not so much the food itself. Rather it is the witness we are making by eating it. While it may be a fine piece of food and it is the believers right to eat it, as long as the proper understanding is present, the more important element is how we can best love and serve our neighbors. If that means sacrificing a right, then so be it. It is easy to overlook parts of Scripture that aren’t the main focus of a passage. This week Paul mentions eating at someone’s house and the focus is on what you do while there. If they serve meat, do you ask where it came from? But let’s not overlook something that, for the early Christian convert in Corinth, may have been taken for granted. These believers were new to the faith and in the small minority among the religions in their city, so surely they had relationships with those outside the faith. Because of this, it would not be unexpected for them to share a meal with the pagans in the community. I bring that up because what was a basis for this question is something that is increasingly a non-issue for many Christians today. How often are you actually invited over for dinner by an unbeliever? If not, or at least if you have hardly any interactions with non-believers, that is a problem. How are we to have a witness to be concerned about in the first place if there is no one around us to witnes to? Recently I saw an article on Christianity Today that revealed some statistics that display how big a problem this is becoming. In the article, which you can read in its entirety here, it is reported that “one out of five non-Christians in North America doesn’t know any Christians.” That means 20 percent of the population, more than 13 million people, don’t personally know any Christians. How are they to hear of Christ? Do we assume here in the United States that they’ll just soak it in by osmosis? Christians need to be a people gathered, but not isolated. We gather to encourage each other, to worship, to be refreshed, and then we are sent. We need to see the “other”, a category Paul lifts up as deserving of our love, and seek them out. Even if now you’re afraid of sharing your faith, let the first step at least be sharing a meal. (1) Think of others and try to be helpful. (7) Don’t offend people. (2) Eat (or don’t eat) the meat you buy in the market for it is the Lord’s. 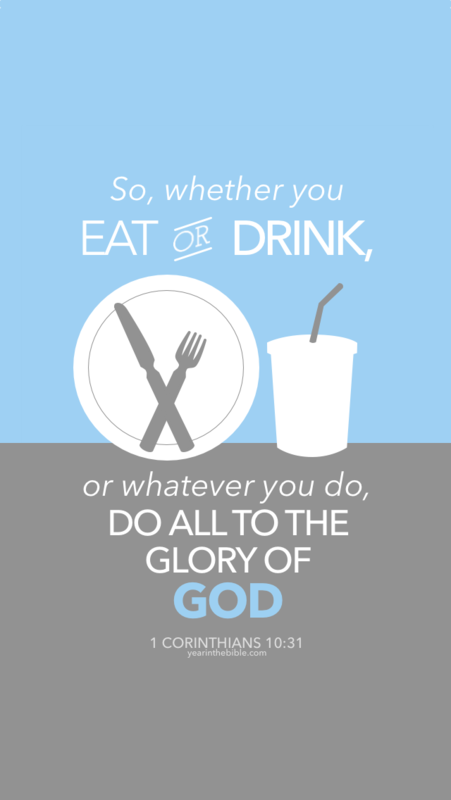 (6) Do so to the glory of God. (3) At a meal in a pagan’s home eat whatever they serve you. (5) You are a free person, give thanks and eat. (4) If someone whispers to you “This is idol meat, I am sure you would want to know,” then do not eat (out of respect for his or her conscience, no your conscience). Knowing the style in which Paul writes helps us to understand this section much better. It is easy to read it as though he is going back and forth, saying two things at once. But much of that is because we assume his argument builds linearly and concludes at the end. But his central emphasis, as it has been in past chapters, is seeking to love others and seek their good, rather than express our own rights or freedoms. This week we get into Paul’s final section on the issue of freedom and responsibility for the Christian. 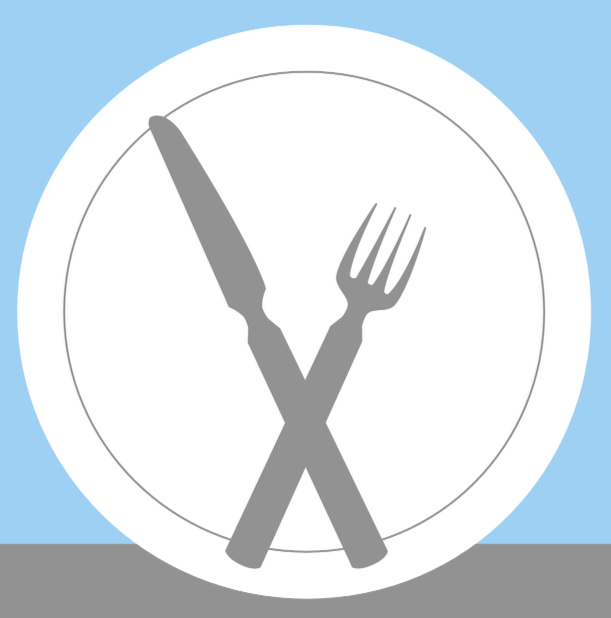 Much of the discussion has used the issue of food and food offered to idols as the backdrop and we return there in the latter half of chapter ten. As you read these verses, try to make sense of them in light of the preceding couple chapters. What is Paul trying to get across? If you are looking for some takeaway, our memory verse for this week is not a bad place to start. This are hopeful words. We all face temptation and I think we are reminded here that even Jesus Christ, who became man, faced them, too. 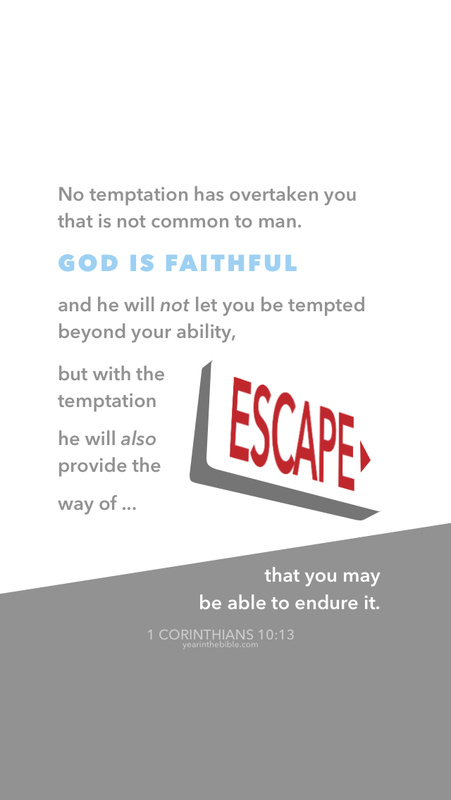 In the midst of temptation we should know that our God is faithful. 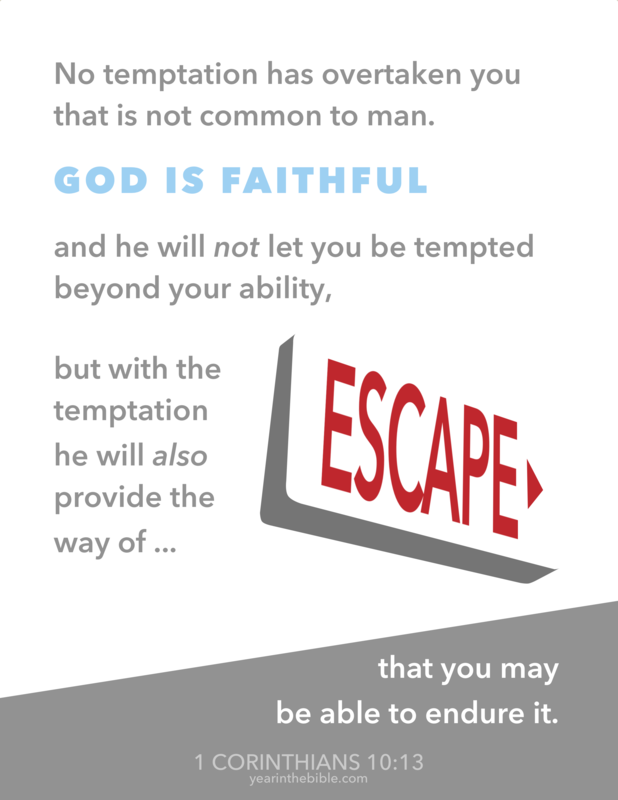 He is with us and desires that we remain faithful to him, so he provides ways for us to resist temptation. It is not something we can do alone, but because he provides we do not have to be slaves to sin. We can endure because we can have patience to see it through that comes from our faith in Christ. This is just a great verse to know by heart for God will encourage us with these words as we face the trials that surely will come in this life. Is Ignorance Bliss? What would Paul say? As a lover of history and learning in general, I’ve never really resonated with the phrase, “ignorance is bliss.” I love to learn and think ignorance is pretty far from a blissful condition. If we don’t know our history, as the saying goes, we are destined to repeat it. Certainly there is so much to learn from those who have gone before us. We can learn from their triumphs and learn from their mistakes, as well. This applies to us personally, seeing other individuals and learning from them. But it also applies to groups and churches and even nations. For example, what can we learn from Egypt and its upheaval? What could Egypt have learned from its own history and history at large that may have been able to guide them in these last couple years? Whatever that answer may be, ignorance would have been no help. Thankfully, God have given us a fantastic book full of our own history. It is the history of God’s people and the story of God’s work among us. In this context, is ignorance bliss?  Is it better to overlook the testimony of the Bible? Are we better off not knowing Adam or the judges? Should we care about Moses or the kings? The Old Testament is too often set aside, but we are worse off if we choose to be ignorant. And I think it is a choice. Perhaps if you do not know Christ and have never been to church, you haven’t necessarily chosen to be ignorant of the Scriptures. But if you are a Christian and do not know the Bible we’ve been gifted, you have made a choice to be ignorant. It is an avoidable circumstance. Every day is a new day to pick up God’s word and read. Every day we can pray for the Spirit to enlighten our minds to understand God’s truth. Or every day we can choose ignorance. We can choose to miss out on the lessons we can learn from those who have gone before us. We can choose to turn our backs on what God says about himself in the Bible. We can be ignorant of the fact that the God of the entire cosmos came to us in Jesus Christ and revealed all we need to know. Jesus reveals God to us in the flesh and shows us the way, shows us what life really is, and shows us truth. The letter we are reading currently, 1 Corinthians, is a letter to a specific church in Corinth as well as to the wider church community of that day. It was written almost two thousand years ago. Life was different then. I think we can underestimate that. But that doesn’t mean this letter, and other letters like it, have no bearing on us today. I would not want you to be ignorant of their struggles and of Paul’s message. The Bible is living and active and by the Spirit it speaks to us today. We ignore it at our own peril. How much better to heed Paul’s warning in 1 Corinthians 10, and accept an invitation to know God in his word. It is our very own history that we read. We are the seed of Abraham, heirs of the promise, and as we read from Genesis through Revelation, it is our story. At times it is frustrating as we see how far humanity can fall, but it is encouraging that our God remains faithful throughout. And to know of God’s faithfulness through the ages is a much more blissful condition than to remain in the dark about it. So let’s seek to be in the light, God’s light, learning from him and learning from the wisdom he shares with us.